While most investors concentrate on some aspect of single family houses, I was always interested in apartment houses first, and then single family homes as a means of getting more apartment houses. From the very beginning of my investing in real estate, I liked the idea that a group of people (the tenants in a building), would get together and pool their money to pay down the mortgage on a property, and I liked the idea that they would also pool their money together to pay for all of the maintenance work for a building. Essentially, I like the idea that other people were willing to help make me wealthy. The first property I purchased was a three family apartment house. I used credit cards to fund the down payment. When I began to purchase my third three family, I realized that there were a lot of good deals out there and I needed a system to come up with down payments. Thats how I developed my Chunker Strategy. What I do is buy a single family house with little or no money down (through private money or partners), flip it and use a chunk of money to live today and use the other chunk for another apartment house. I became an expert at flipping single family houses. I learned to wholesale, retail, pre-foreclosure, rehab, subject to and lease option single family houses. I became a transaction engineer because I didnt want to lose any potential deal that might be available to me. You see, when I throw out my marketing dragnet for single family houses, I find that I was also attracting motivated sellers of smaller apartment houses. If for some reason I wasnt interested in holding an apartment house for cash flow, I could make a chunk of money flipping it using one of the methods that I described above. Learning how to invest in apartment houses is like adding another tool to your tool box. You might not need it every day, but when you get the chance to use it, it pays for itself over and over again. Every once in a while, you come across a great deal on an apartment house. A deal that is going to bring you in a great monthly cash flow of eight hundred dollars a month or more. These deals are actually more common than you think, you just havent trained your mind to recognize them. Imagine for a minute, as you are buying and selling your single family houses, you start collecting apartment houses with cash flows of at least eight hundred dollars a month (if you are buying 3+ units, you will want at least a net positive cash flow of eight hundred dollars a month, unless you are in a first half of a rising market, and then and only then should you get less). You will find these deals by dealing with motivated sellers. These deals do not commonly come through real estate agents. There are many good marketing courses available that teach you how to attract motivated sellers, get one and prosper! Lets say that you collect just four apartment houses a year, one every 3 months. At the end of the first year you will have a net positive cash flow of $3,200 per month. That would equal $38,400 per year. 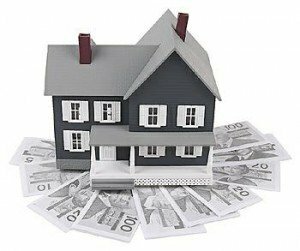 Now lets say that you continue to flip single family houses, get chunks of cash, and when the opportunity arises you continue your shrewd method of investing and continue to collect four apartment houses the next year. You have just increased your monthly income to $6,400 per month and your total yearly net positive cash flow from your apartments to $76,800. Lets jump forward to the end of year four. You have now collected a total of 16 apartment houses. Your monthly income from your apartments is $12,800 per month, your yearly net positive cash flow from your apartments is $153,600! That means that if want to take all of year five off and do nothing, no flipping single family houses, no buying more apartments, no doing nothing, you would still get $153,600 in as a net positive cash flow from your existing apartments. With $153,600 you can do a whole lot of nothing! Now you might be thinking whoa…what about all those tenants?! I dont want to deal with any tenant-you dont have to. As your purchasing your property, you factor in the cost of a good management company. If the property still cash flows properly, buy it. If it doesnt¦next! Some people dont have a problem managing their own buildings. I did it for my first two and one half years in business but I soon realized that dealing with my tenants took time out of me going out and finding more deals, so I systemized the management of my buildings and hired a girl to work in my office and manage them for me. I havent talked to or taken a call from a tenant in over four years and yet I happily deposit those cash flow checks in my bank account every month! When I buy properties out of state, I hire local management companies to manage them for us. The rule of thumb is to pay them 8 “10% of the gross collected rents for buildings with 20 units or less and 5 ” 8% for buildings with 20 units or more. Lets get back to the cash flow because cash flow is the real reason you should consider buying apartment houses while your doing your single family investing. The cash flow gives you the freedom to do what you want when you want, go where you want when you want, and buy what you want when you want. This is exactly why we are in the real estate game. What if you dont decide to invest in apartment houses? Its now four years later, youve been flipping a lot houses and are making some good money, heck, youve even got some single family houses that your holding for long term cash flow. Lets look at the reality of the situation. If you want another payday, you have to buy and sell another house. The cash flow on your single family keepers average $300 per month, what happens if you lose your tenant for just one month? Youve probably lost your profits for most of the year. If you were collecting apartment houses during that same four years while buying those single family houses, you would have a pay day in the tune of $12,800 per month each and every month for doing nothing (your net positive cash flow). The management company does all the work! If you lose a tenant in your three family building, no problemo! The other two tenants still pay enough to cover the expenses and also give you a little cash flow. Not only that, you are creating more and more equity in those apartment buildings through the pay down of the mortgage and the appreciation that takes place each month that goes by. Your setting yourself up for some huge paydays further on down the road. How do you become wealthier faster investing in real estate? Start collecting some apartment buildings as you buy and sell those single family homes. Starting out as a struggling landscaper with no experience in construction, David Lindahl has earned well over a million dollars renovating more than 470 houses for resale. He also owns over 38 apartment buildings with over 5,436 units around the US with a monthly cash flow equaling what many people make in a year! And Dave Lindahl accomplished all this within an eight year period starting from scratch.